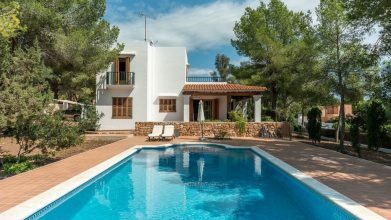 This stylish villa with a fantastic garden and pool has been renovated to a very high standard and is only a few minutes drive from the beach. 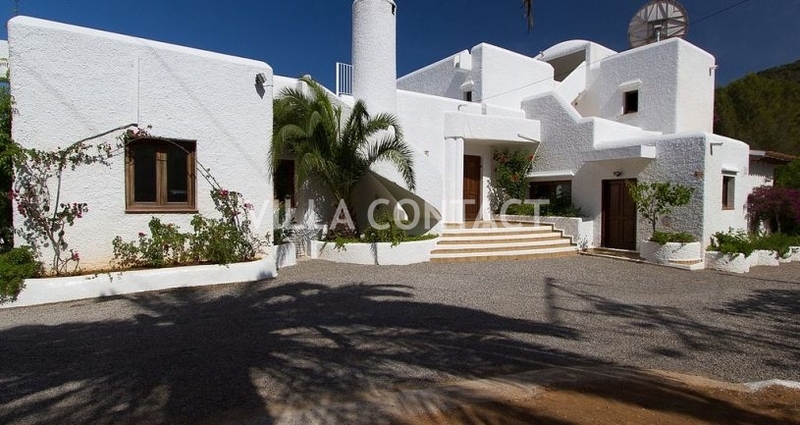 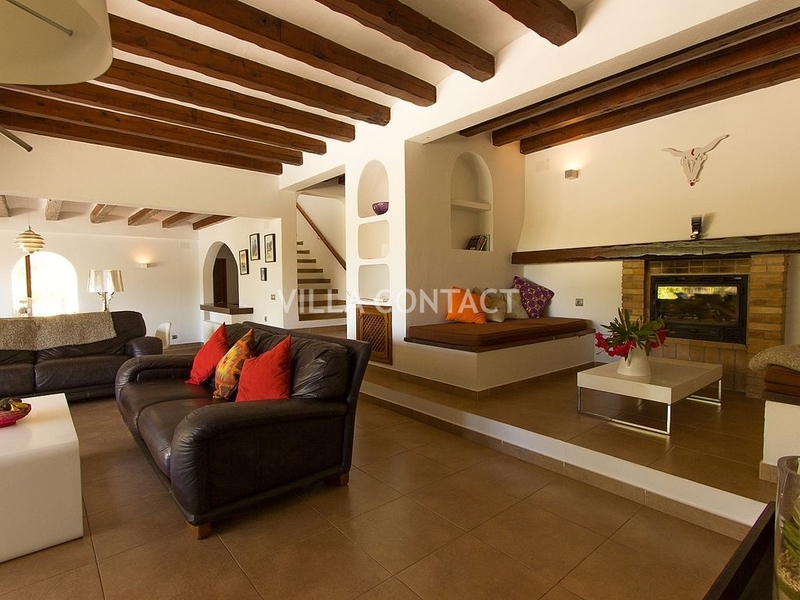 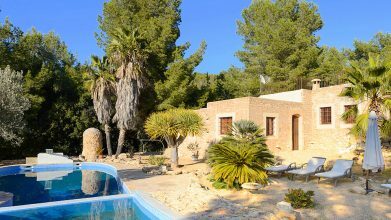 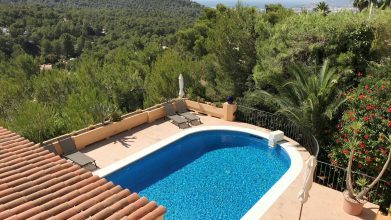 Located in the countryside close to the village of Siesta the property sits on an elevated plot position which offers magnificent views over a beautiful pine forest and the sea in the distance. 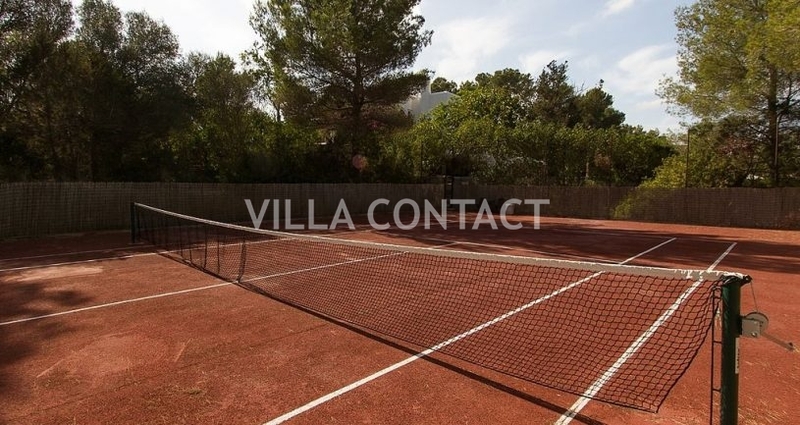 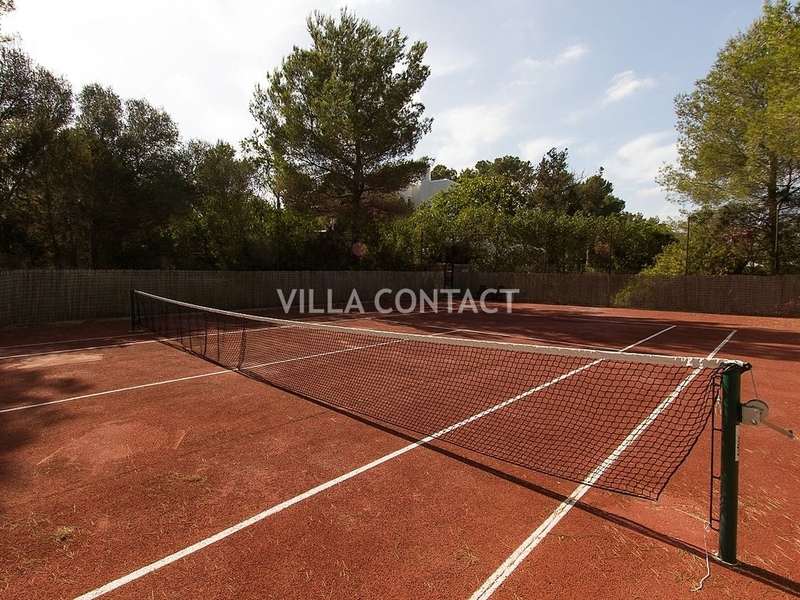 The large well maintained garden has a private tennis court and lots of lush green plants, palms and fruit trees of different varieties. 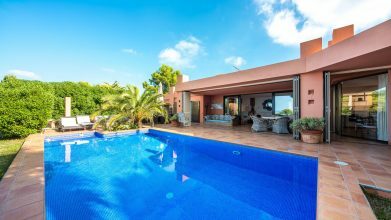 The swimming pool measures 15m x 6m and is surrounded by a modern wood decking with single and double wicker sun loungers and a shower. 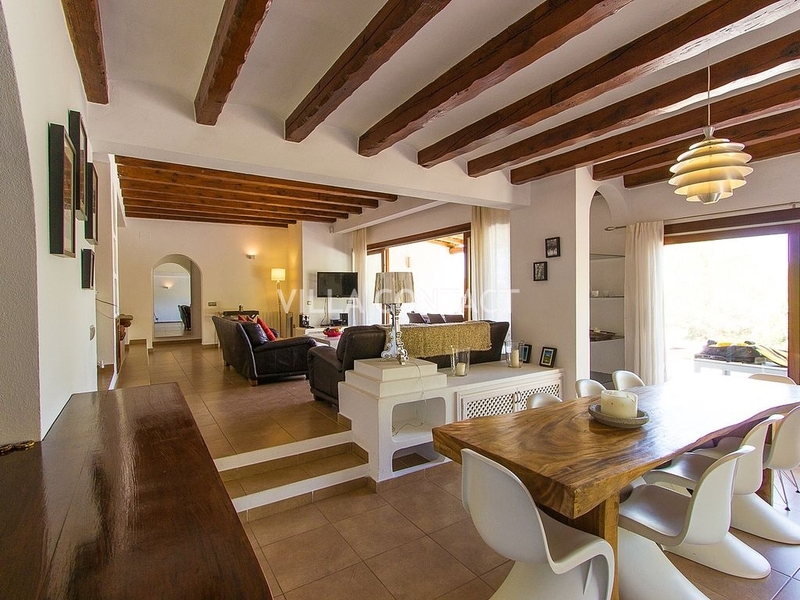 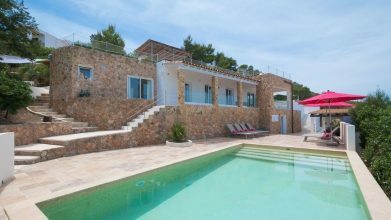 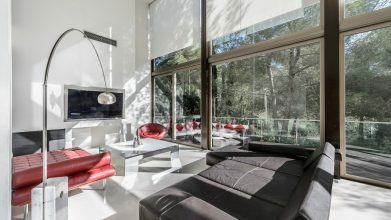 The villa consists of a large open plan living room, dining room and snug with huge glass sliding doors leading onto the spacious terraces with built in BBQ. 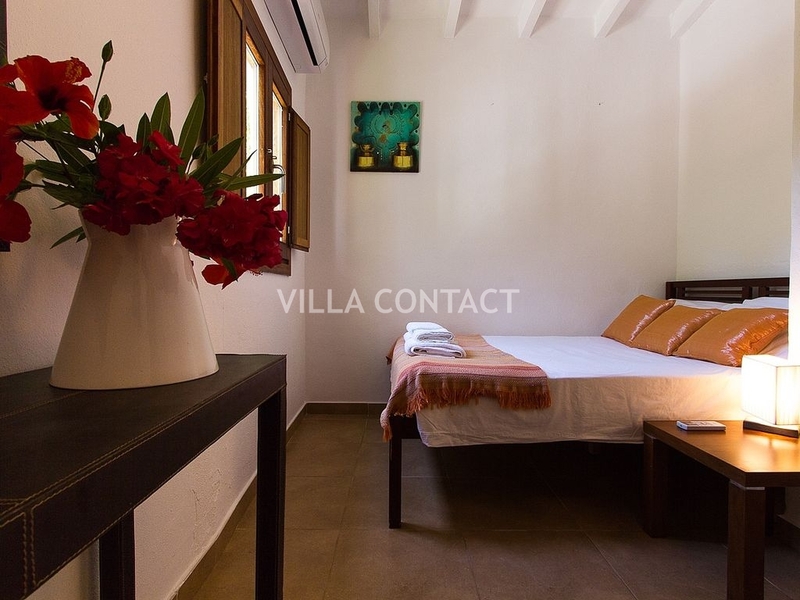 Air Conditioning in all bedrooms. 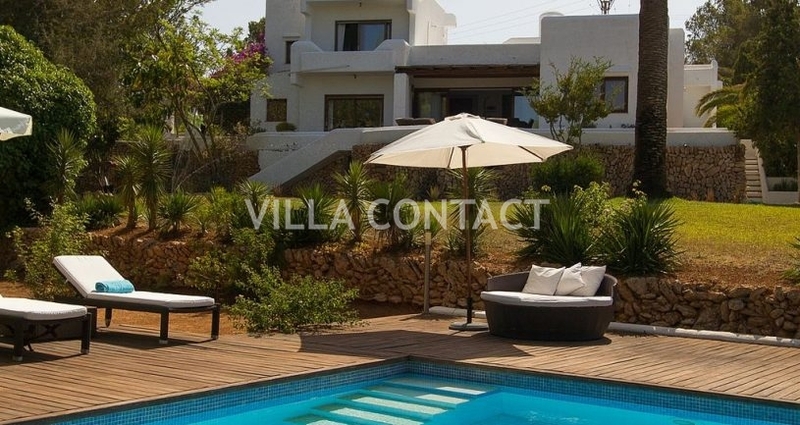 Under the rustic wood beamed porch is the large outside table for alfresco dining which overlooks the garden and pool. 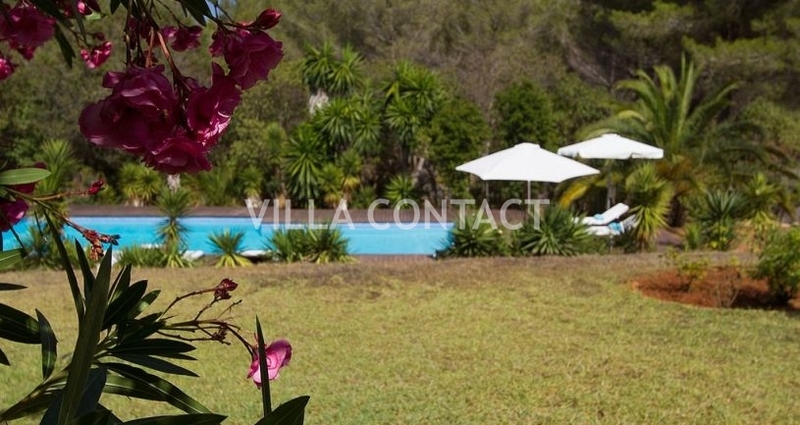 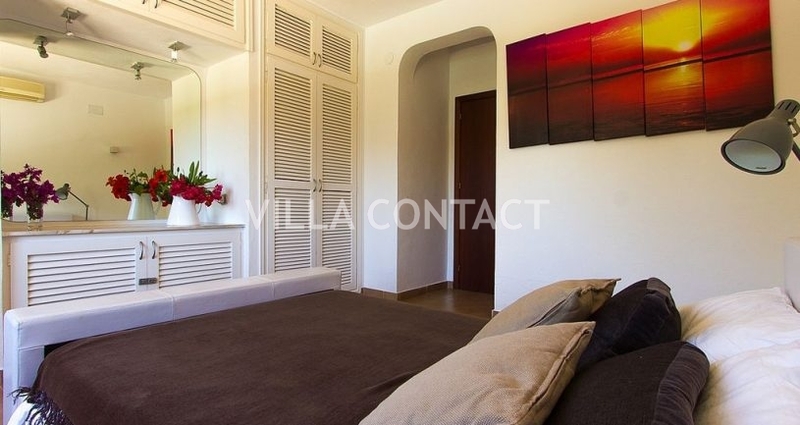 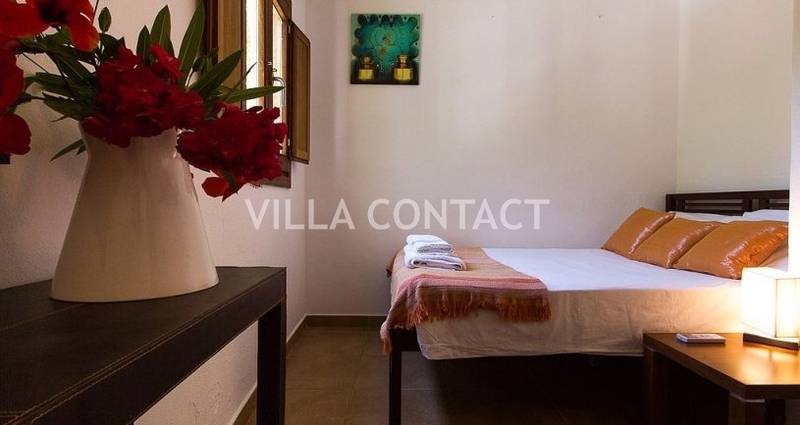 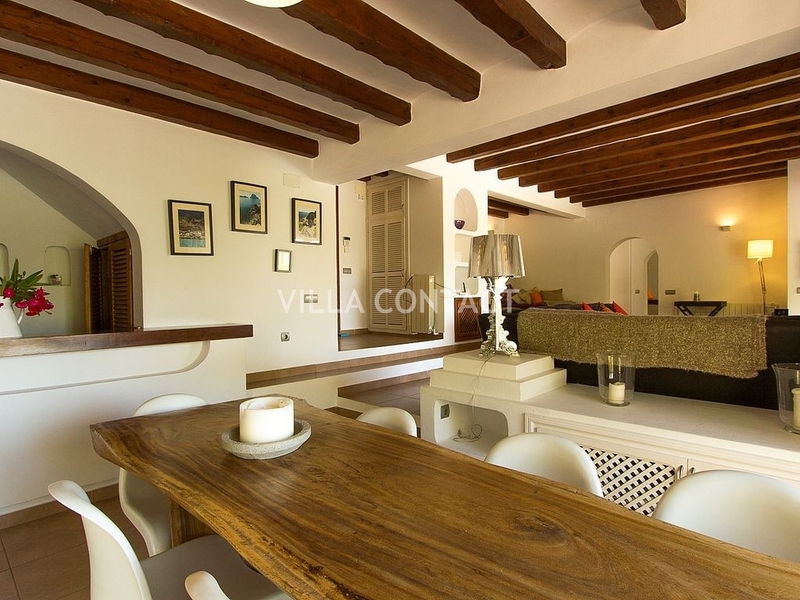 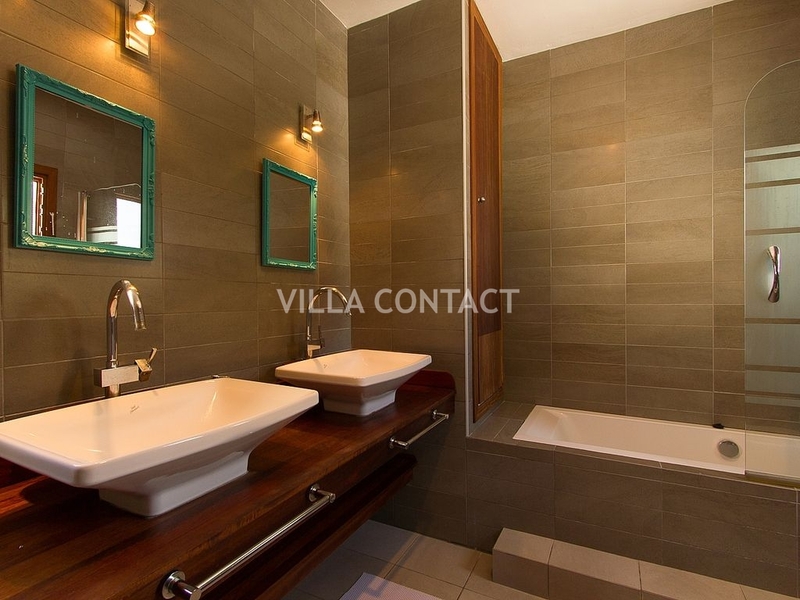 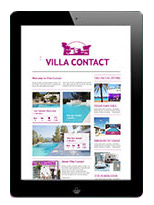 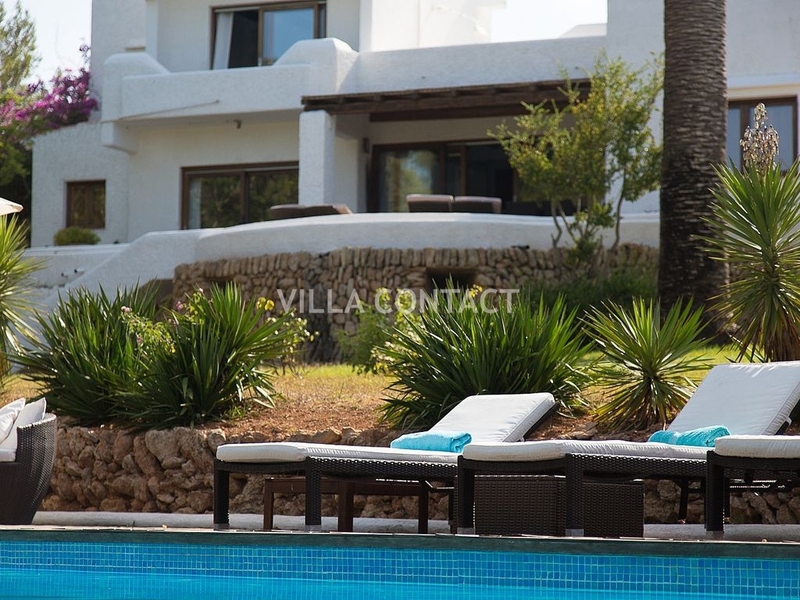 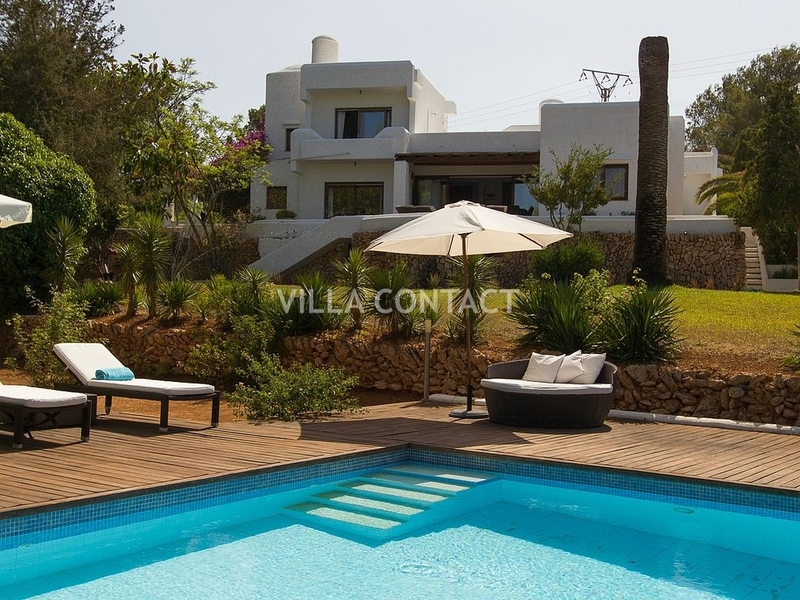 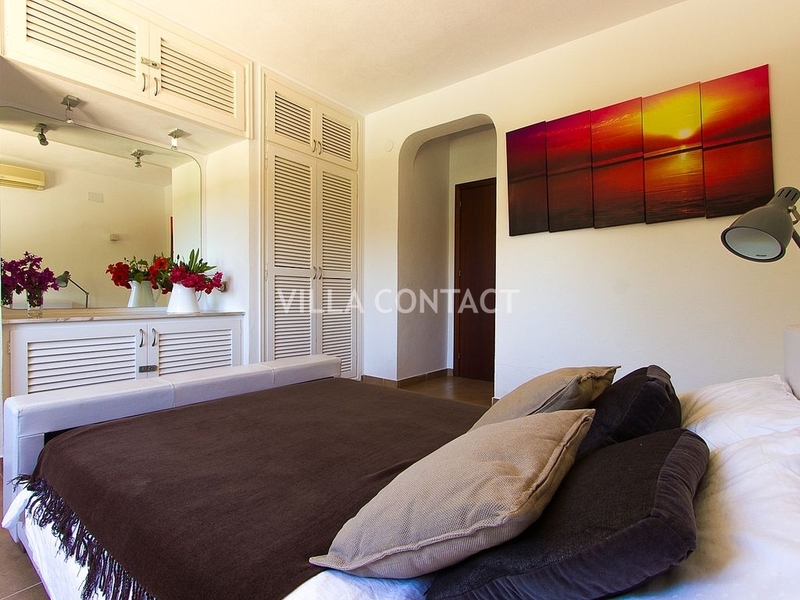 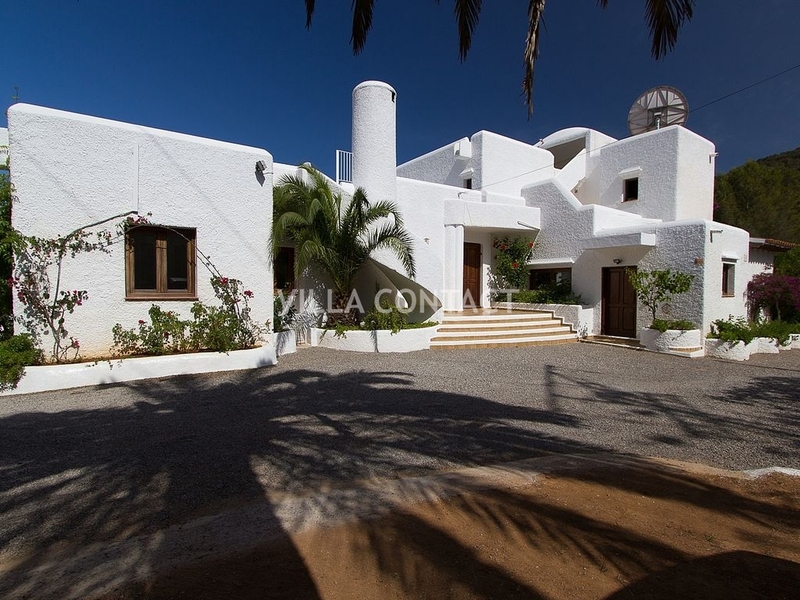 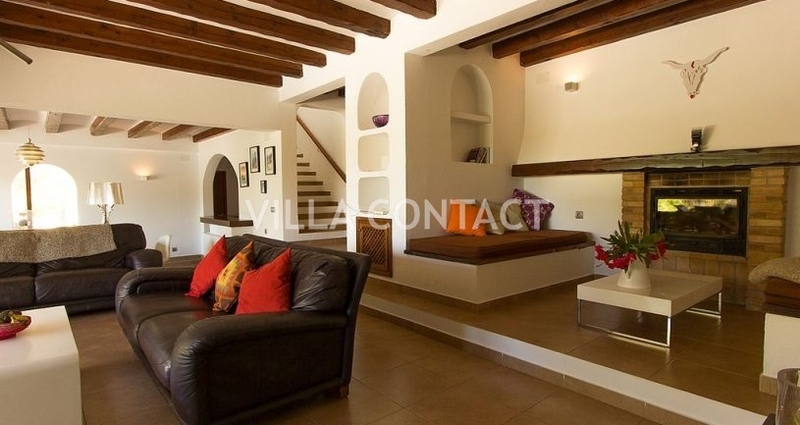 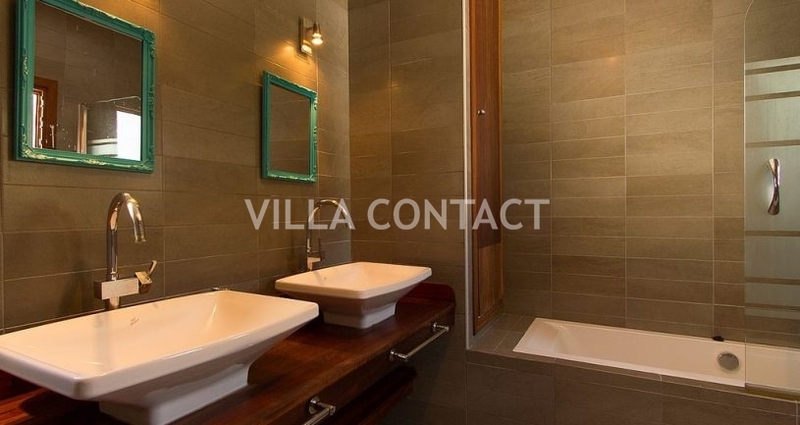 The villa was completely renovated in April 2008 and is furnished to a high standard with a contemporary finish.